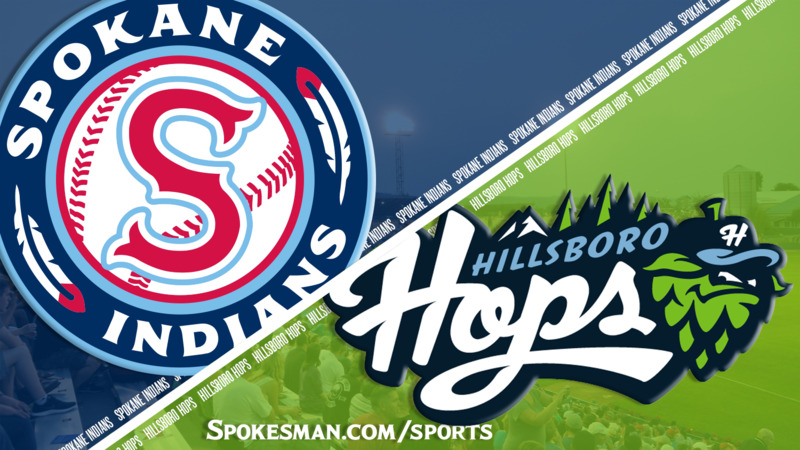 HILLSBORO, Oregon – The Spokane Indians let one get away on Monday night in Northwest League baseball action. Andy Yerzy’s two-run single with one out in the bottom of the ninth inning capped a three-run rally that carried the Hillsboro Hops to a 7-6 victory. Spokane reliever Werner Leal began the ninth by hitting leadoff batter Ryan Tufts with a pitch. Keshawn Lynch followed with a single before Leal fanned Tra Holmes. Leal was pulled in favor of Reggie Meyer, who surrendered a run-scoring double to Jorge Perez to pull the Hops within a run. Meyer intentionally walked Jose Caballero to set the stage for Yerzy. Indians starter Scott Engler pitched five innings and allowed three runs – all in the fourth inning – on three hits and a walk. He fanned five. Cristian Inoa had two hits, including his second home run of the season, for Spokane. Curtis Terry had an RBI double during a four-run fifth. Published: July 2, 2018, 11:05 p.m.